The BBC’s Yalda Hakim visits a so-called ‘torture camp’ Efta is just 17 but has experienced shocking brutality. She is one of 80,000 Ethiopian migrants who undertake this dangerous journey every year. They hope they will find work in the wealthy Gulf state of Saudi Arabia and be able to send money home. Hafton Ekar, 23, made the journey from Ethiopia to Yemen with a group of friends. Their aim was to find work in Saudi Arabia to support their families but they were kidnapped shortly after being smuggled into Yemen. Hafton’s father was told he needed to pay $300 to free his son but after the ransom was paid, Hafton was sold on to a ‘torture camp’. The new gang wanted another $250 but there was no money left. Hafton was brutally tortured. “They hurt me very badly. I can’t use the bathroom any more. I’m paralysed,” he said. His friends carried him on their backs when they escaped. Hafton now lies on a mattress in the refugee centre in Haradh. But they risk being exploited by criminal gangs and the Yemeni military in the 500 km (310 miles) trek across Yemen to the Saudi border. ‘Raped and burned’Efta was held at what is known as a “torture camp” for three months. She was too ashamed to ask her parents for money to set her free so she was raped every day. Once it became clear that no ransom was going to be paid and after Efta fell ill, she was thrown out on the street. She is now being cared for in a refugee centre run by the International Organization for Migration (IOM) in the Yemeni border town of Haradh. She remains traumatised by her experience. “The women get raped and the men are burned. They break bones. They take people’s eyes out,” she said. Most of the Ethiopians we met came from the Tigray region in the north of the country. 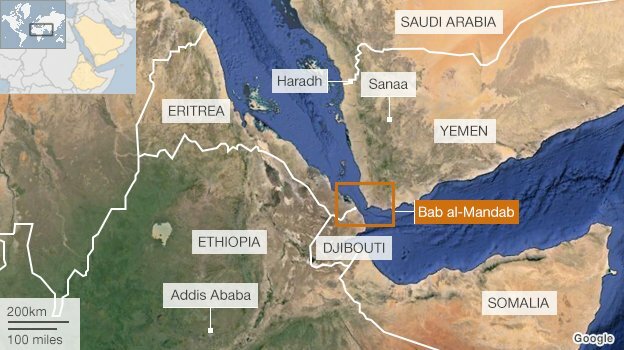 They crossed the mountains into Djibouti and then paid people smugglers to take them across the Red Sea at its shortest point, Bab al-Mandab (or the Gate of Grief). It was a harbinger of the trials and tribulations ahead of them where thousands are tortured and sexually exploited by people smugglers. A map showing the journey of Ethiopian migrants to Saudi Arabia. And if they make it to Haradh, many die trying to get across the heavily-fortified border into Saudi Arabia. Saleh Sabri is the local undertaker. He has lost count of the number of migrants he has buried. “Some people are shot at the border. Some have been hung. Some are beaten to death,” he said. Inside ‘torture camp’For centuries, Haradh has thrived on gun-running and drug-smuggling. Now, the commodity is people. The Medecins Sans Frontieres charity says there are an estimated 200 “torture camps” in this area alone. We become the first journalists to enter one after we are promised safe passage by a local judge. One of the judge’s soldiers accompanies us for our safety. We drive across sand dunes to reach a mud brick house on the outskirts of town. As we enter, there appear to be five migrants sitting on the ground with two armed men guarding them. We ask them if they have been abused. “For the last three days, they have threatened to beat us if our families don’t pay,” said one migrant. We then spot the entrance to a small room at the edge of the compound. The soldier says this is where the migrant women are taken. We ask to go inside but the soldier says what is going on behind the door could be haram, meaning forbidden. We are told there could be a man and a woman in there. We are not allowed to knock on the closed door but there are two pairs of shoes outside. A man then appears with a pistol who says he was the owner of the camp. We ask him if torture exists on this farm. We also ask if there are women here. “No, there’s no women in this farm,” he said. After we left, we visited a senior local police officer and told him what we had seen. We understand that the next day, all the migrants in the camp were released. The International Organization for Migration says it is dealing with an “international humanitarian crisis”. Failed stateBut Yemen is ill-equipped to solve this problem when it is fighting two insurgencies that have displaced tens of thousands. BBC News Channel: Saturday 20 July at 02:30, 05:30, 14:30, 21:30 and Sunday 21 July at 03:30, 05:30, 10:30, 14:30, 21:30. All times BST. 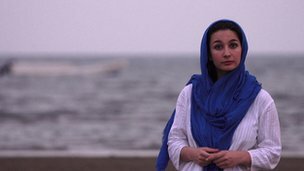 BBC World News: Friday 19 July at 23:30; Saturday 20 April at 11:30, 16:30; Sunday 21 July at 17:30, 22:30. All times GMT. International aid is mainly directed towards them and the 200,000 Somali refugees in the south. In the vacuum, gangs of kidnappers and torturers seem to operate at will. But many Ethiopian migrants say the Yemeni army is complicit. Efta said the men who kidnapped her were dressed in military clothing. “They were wearing army uniforms,” she said. She also said the same men – Yemeni soldiers – raped her at the ‘torture camp’. And 16-year-old Asma said the same. She nearly made it past the Yemeni guards at the Saudi border. “Then the Yemeni army came,” she said. Asma was raped by up to three men every day for two months. She got out because one of her captors, she said, felt pity for her. She is also living in the refugee centre in Haradh. We requested an interview with the Yemeni government about the treatment of migrants but our request was declined. 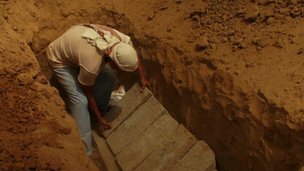 The undertaker of Haradh burying another migrant. Saleh Sabri says he has lost count of the number. The undertaker of Haradh is used to operating without government support. “I have 40 bodies in the morgue and I have only six draws to store them,” said Saleh Sabri. He still washes and prepares the bodies in the traditional way. “I’m a simple man with a simple job,” he said. United Nations High Commissioner for Refugees Case Postale 2500 CH-1211 Genève 2 Dépôt Suisse. 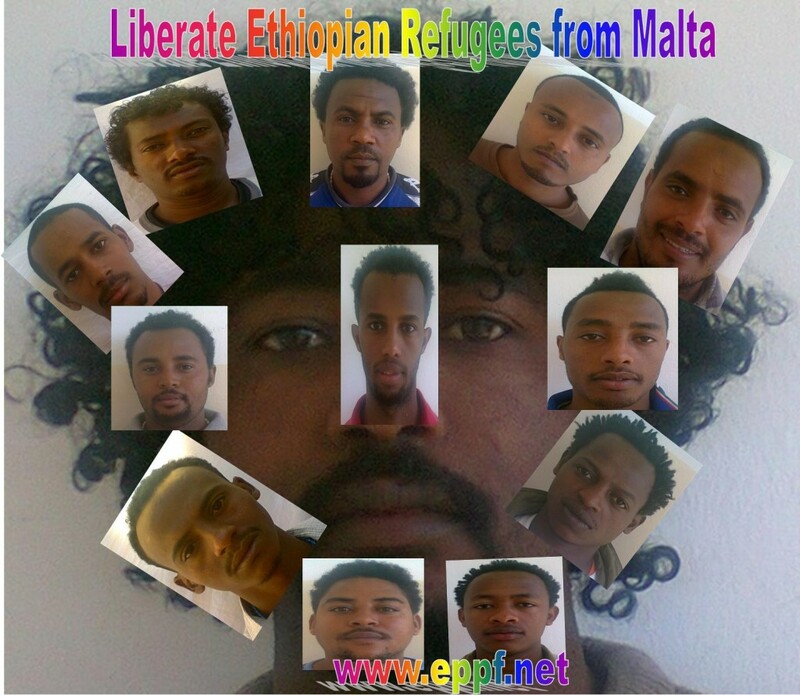 Ethiopians refugees are held as a Prisoner in Malta. We as the rights to be respect and liberated and given political asylum after crossing Sudan Lybia and mediteranian see for freedom.